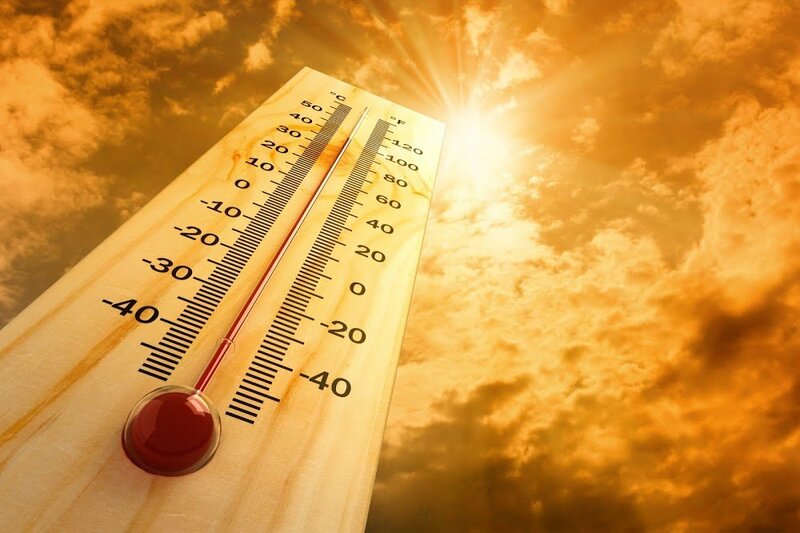 When you think of weather damage to your AC unit, you probably think of a heat wave causing the capacitor to burn out or the condenser coil to freeze up. Or in the winter, you might think of icicles falling into the unit and damaging the fan blades. But there are some other ways weather can damage your AC unit that many people don’t think about. Here are some of the less obvious ways weather can damage AC units and how to avoid or prevent them. Like any other typical modern appliance, your AC unit is susceptible to damage from power surges, whether they’re small or large. Large surges from lightning getting into the power lines, or from a windblown tree or snow-laden branch falling on the line, can destroy several parts of the AC unit. These parts include any capacitors and the compressor but also wiring and fuses. To protect your unit from the myriad types of damage it can incur from surges, you can have your HVAC contractor install a surge protector for the AC unit. Brownouts are basically the opposite of a power surge, yet can still cause similar types of damage to equipment and appliances such as your HVAC system. Often, brownouts are caused by weather. They can be directly caused by a storm, or it could be a heat wave that has made everyone run their AC on high until the power grid is overloaded. Either way, a brownout can damage your AC unit. One part of the unit that’s vulnerable is the compressor, which is unfortunate because the compressor can be quite expensive to replace. The capacitors may be even more susceptible, although a less costly fix. Either way, you can have your contractor install a device that shuts down the AC when brownout conditions occur. Hot weather can increase the warm, dry updraft of air coming off the unit by making your unit work harder. This can create a fire hazard, and of course if your home catches fire your AC system will likely sustain fire damage as well (although in that scenario the AC damage wouldn’t be the main issue). How can you avoid creating a fire hazard? Simply keep everything out of the way of the updraft. This includes keeping any nearby trees trimmed back so their lowest branches are at least six or, even better, 10 feet off the ground. And for maximum protection, keep any trees at least 30 feet away from the house. Harsh weather can also affect your outdoor AC unit indirectly by causing pests to take up residence there. Pests especially like to live in AC units in the winter, creating nests and other damage for you to find once spring arrives. Rodents, for example, chew plastic components and wires to create a variety of damage that needs to be repaired before the unit is used. Mice aren’t the only pests that are driven to AC units by weather, though. Snakes can sometimes get inside the condenser, looking for a comfy spot in hostile weather. The sheltered environment inside of the unit can seem like a perfect spot to a snake when the unit’s not in use. Unfortunately, snakes can then be killed either by electrocution or by the fan blades when the unit starts up. These are just a few of the less obvious ways your unit could suffer weather-related damage. If you suspect your unit has fallen victim to any of these, or the more obvious types of weather damage, get in touch with Lakeside Heating & Air Conditioning today so we can send out a service technician and get your unit up and running again as soon as possible.